A fun and unique way to experience Hobart! 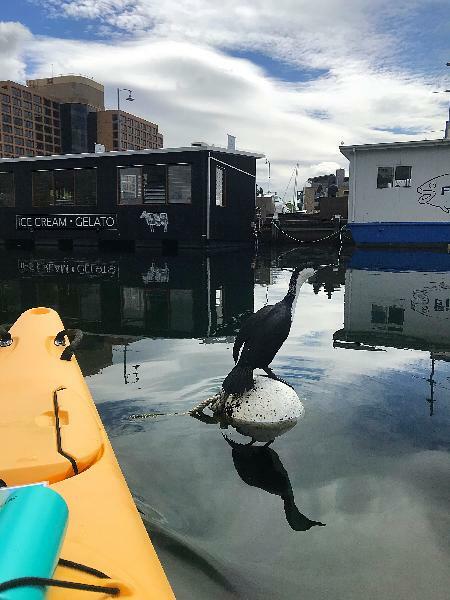 The perfect fusion of fun, relaxation and exploration, the Hobart City Kayak Tour is the ultimate way to experience Hobart’s bustling waterfront and all its charm! During the 2.5 hour tour, we’ll explore the waterfront at a relaxed pace with plenty of time to explore and take in the surrounding views. We’ll cruise the crystal clear waters past the lively working waterfront, getting up close and personal to tall wooden sailing ships and uncovering a unique perspective into the heart of Hobart. The water is clear enough to get a view of our native sea stars, and if you’re lucky we may even see Sammy, our friendly resident Seal! 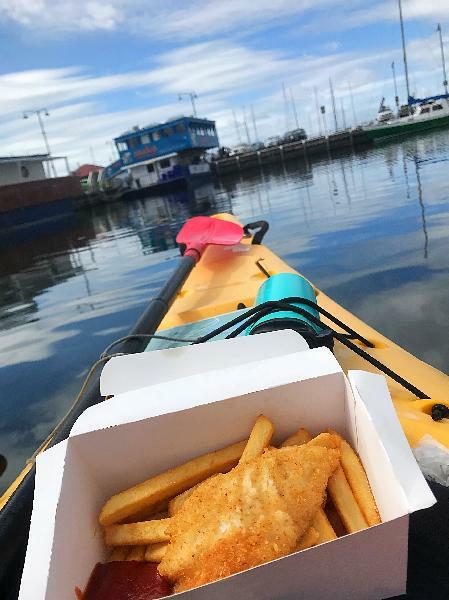 For a taste of the true local experience we’ll pop by the city’s famous floating punts for a classic bite to eat of fish & chips - you'll enjoy them straight from your kayak for a meal with a view. The Hobart City Kayak Tour is the perfect way to add a splash of fun to your trip to Tasmania! No kayaking experience necessary. This paddle is also suitable for younger paddlers who can team up with an adult or one of our guides. Fun and exciting kayak experience with helpful and friendly trainer. Highly recommended! I got awesome experience with the tour as the coach is amazing, energetic and super supportive. Thanks for the review and wonderful to hear you had such a great time. We loved having you along too. Enjoy the rest of your travels. Thank you so much for an incredible day. Tory our guide was lovely. The value for money was fantastic. Tory explained about the interesting history of the places we past and the lunch was nice. I would highly recommend Roaring 40's Kayaking. Your message has been sent to Hobart City Kayak Tour - 2.5hrs - Roaring 40s Kayaking. You should hear from them shortly. Please note: all responses will come directly from Hobart City Kayak Tour - 2.5hrs - Roaring 40s Kayaking, and not the team at Bookme.